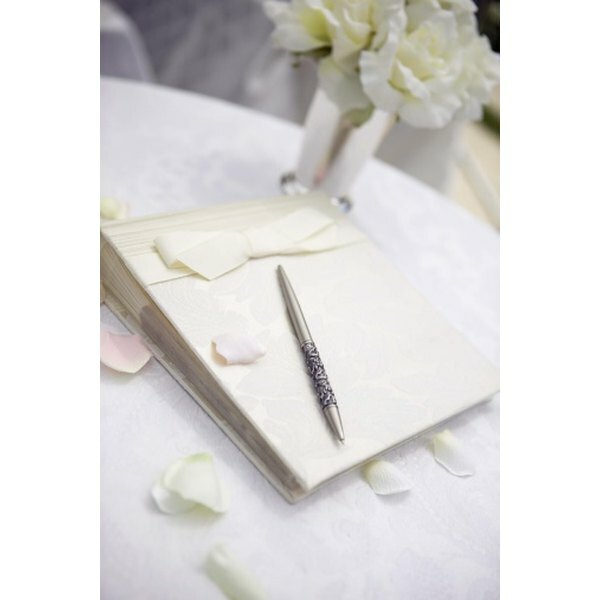 Wedding guest books may have blank pages or a wedding related prompt. 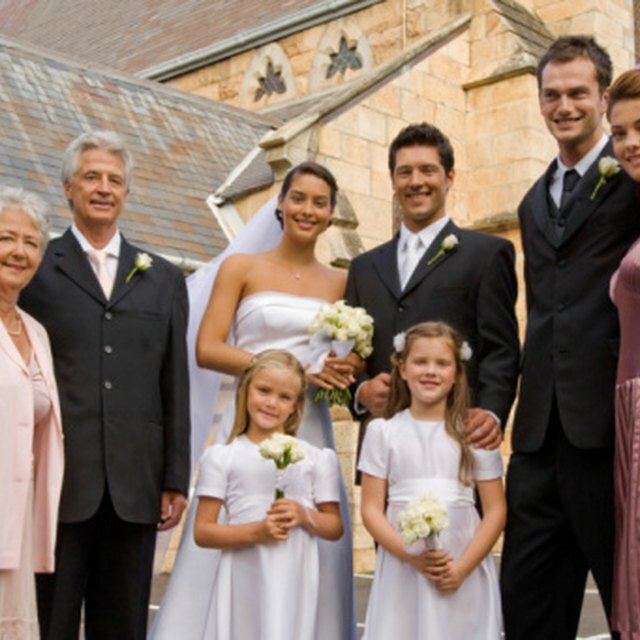 4 What Is the Benediction in a Wedding Ceremony? After the wedding day ends, the newlywed couple will have a few items to remind them of their special day forever. In addition to their photos, the wedding guest book provides the couple with a great way to remember their guests, particularly when it comes to writing thank you cards. Though some books only provide single-line entries, others allow guests to include a meaningful quote beside their names to make their involvement all the more memorable. In addition to wishing the newlywed couple well, provide them with a piece of advice drawn from your own marriage. Not only will this gesture be extremely personal, but you will also be able to impart some of your knowledge to those who can benefit most from it. Even a simple line, such as "Compliment more than you criticize" is a good reminder to couples to always remember the other person's feelings, even if they are having a rough time. A fun or inspiring quote about love and marriage makes a fitting addition to a wedding guest book. However, unless you know the couple very well, resist the urge to refer to the institution of marriage in a less than favorable light. Instead, opt for a sincere comment that will make them smile and resonate with their ideas of marriage after listening to their vows and toasts. A popular example is "Happy marriages begin when we marry the ones we love, and they blossom when we love the ones we marry," by Tom Mullen. Ideal for a religious couple, biblical verses provide the newlyweds with a reminder of their marriage's importance in God's plan as well as the sacramental significance of the wedding day. In addition, it provides a springboard for you to include any special wishes or advice for the couple, particularly if you plan to incorporate God's word into the rest of your message. If you are allowed to fill in your page in the guest book as the reception is ending, thank the bride and groom for a wonderful night. To make the message even more personal, include a special mention of an aspect about the evening that you truly enjoyed, such as the company at your table or the couple's choice of a first dance song. Such details will also bring back their memories of the night for years to come, making them appreciate your attention to detail even more. Glamour: What Do You Write in Wedding Guest Books?